Handling a large group of image files might be a tiresome process if you plan to apply image rotation to each and every one of them. Opening and processing each one separately means spending a lot of time doing repetitive operations. So why not opt for a program that supports batch rotation of images? We recommend reaConverter, a quality piece of software which can help you handle over 500 image file formats. This entry was posted in Image editing and tagged auto rotate on December 30, 2015 by reaconverter. The number of dots per inch (DPI) or pixels per inch (PPI) of an image define its resolution and, hence, its quality. Some people think DPI and PPI are one and the same thing, but if you want to be truly accurate, you should know the former refers to the resolution of a printed image, whereas the latter refers to what you see on screen. This entry was posted in Image conversion, Image editing and tagged dpi, freeware, ppi on December 7, 2015 by reaconverter. Are you a photographer, a graphics designer or some other type of professional image handler? 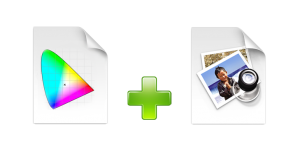 Then you have probably experienced for quite a few times the dullness of operating with a large group of image files. Doing the same operations over and over again, for each and every image, might not only be tedious, but also eats up a lot of your time and energy. So instead of doing recurring operations manually, why not opt for a free and automated way to handle your images? This entry was posted in Image editing and tagged crop, freeware on September 14, 2015 by reaconverter. Are you worried that your photographs might be used without permission once you post them online? The easiest way to make sure your author rights are protected is to add a visible watermark on your photos. This is the equivalent to adding a signature — it can be your name or the initials of your name, your logo, a quote, or any other type of text or image you find suitable. Watermarking is also a good way to keep track of your photos; you can use it to create date stamps or to mark EXIF or META data on your photos. This entry was posted in Image editing and tagged freeware, watermarking on August 3, 2015 by reaconverter. If you want to make sure your copyrights are protected and no one will use the images you create without explicit permission, watermarking your images is the best solution. But this implies editing each image so that it includes a personalized text or image which appears transparently, with customizable size and position. Many people might find that to be a complicated task, involving a series of repetitive operations. This entry was posted in Command-line, Image editing and tagged watermarking on June 22, 2015 by reaconverter. Did you shoot several large-sized photos with your camera and would now like to send them by e-mail or upload them to your website? Or perhaps you would like to transform one or more of them into a letterhead or a blog header? In any of these cases or in other similar ones, you will need to resize your pictures. This entry was posted in Image editing and tagged resize on May 4, 2015 by reaconverter. I Received an ORF File by E-mail. How should I Open It? We got this question from a reader who had just been sent an e-mail with an ORF file attached and wasn’t sure whether opening such files is safe or not. Moreover, if it is safe, what software would he need to open it? Because Windows did not seem to be able to handle the file with the regular programs installed. This entry was posted in Image conversion, Image editing, RAW formats and tagged converter, jpg, olympus, orf, png, raw on September 30, 2014 by reaconverter. Are you worried that editing a large group of images requires having advanced image design software installed on your computer? And programs such as Corel or Adobe Photoshop not only tend to be quite pricy, but also require a powerful computer, take up a lot of space on your hard drive and are not necessarily easy to use? This entry was posted in Image editing and tagged batch image editing on September 15, 2014 by reaconverter. When preparing images for print, most professional image handlers are particularly careful about how they manage the colors and tones, so as to make sure what will come out on paper will be according to what they planned while editing the image on screen. For this reason, they might want to pay attention to the configuration of the ICC profiles of their images. This entry was posted in Image conversion, Image editing and tagged converter, icc, icc profile on April 3, 2013 by reaconverter. Have you ever tried to print an image from your computer and then realized its reproduction in print is significantly different from what you saw on screen? 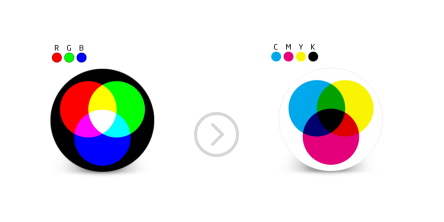 That happened most likely because on screen you saw an RGB image, while on print you saw a CMYK one. Both names represent color models or the combinations of nuances and shades which create the image you see on screen or on paper. This entry was posted in Image editing and tagged cmyk, color model, color space, converter, rgb, YCbCr on January 28, 2013 by reaconverter.